Featuring 185mm wheelbase, the LDARC ET MAX is KINGKONG’s biggest FPV racing drone with ducted blade protectors. 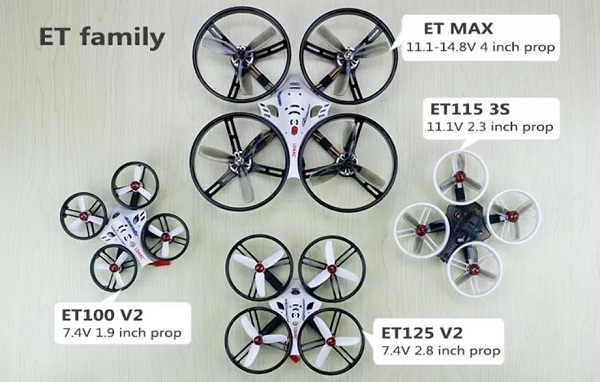 It is probably the largest Whoop compatible with 4″ propellers and 4S LIPO batteries. In a nutshell, the LDARC ET MAX 185mm, follows the ET series design. It has identical frame structure, blade guards and white protective canopy. According to the advertised specs, the estimated flight time is around 9 minutes if its powered by a 4s/1500mAh LiPo battery. 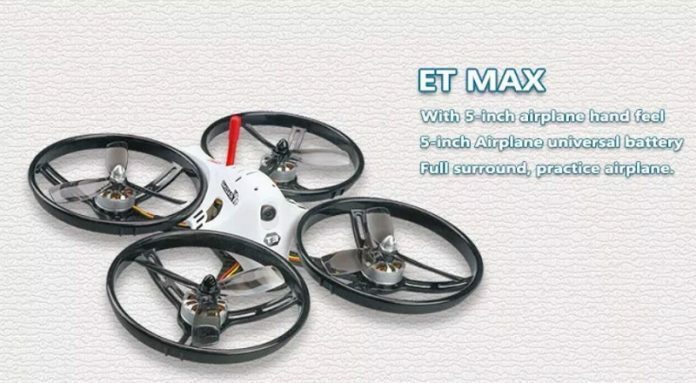 Here, I should mention that the KINGKONG ET MAX 185mm is compatible with 4s as well as with 3s LIPO batteries. 3S and 4S LIPO compatible. 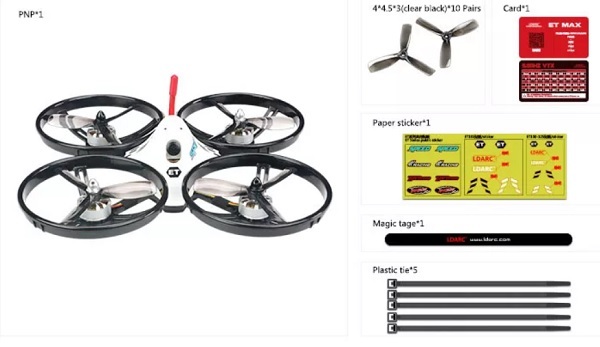 Being sold as PNP package, you will need, besides battery and transmitter, a compatible radio receiver (FlySky or FrSky will work as well). For FPV flights you will also need a FPV monitor/goggles.